The National Aviators Guild (NAG), the domestic pilots union of the crippled Jet Airways, Tuesday demanded interest on their delayed salaries along with timely payment, saying the prevailing situation is not "ideal" for them to be in the cockpits. The pilots along with engineers and have salary arrears for three months, starting January. The letters from guild president Karan Chopra Tuesday comes two after they deferred their strike call to April 15, which was earlier to begin on April 1. "Non-payment of salaries is leading to extreme tension and frustration among us, which is hardly an ideal situation for pilots in the cockpits. EMIs, school and college fees to be paid along with medical bills of our ageing parents," Chopra said. The guild, which claims to represent around 1,100 of the 1,600 Jet pilots, had announced earlier warned to go on strike from April 1, unless their salary dues were cleared and clarity was provided on future payments by March 31. 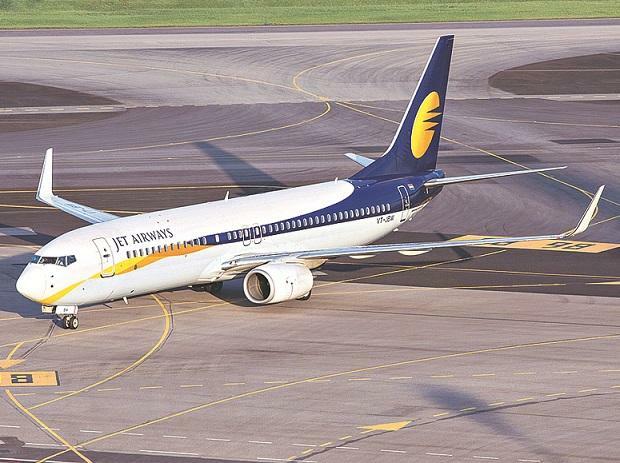 Jet, which is now under the ownership of the SBI-led consortium of lenders, has been delaying salaries to its pilots along with engineers and senior staff since last August. On December 6, 2018, the management had revised its earlier payment schedule, according to which it was to clear all dues by March 31. "All pleas to the management in this regard have fallen on the deaf ears. The management must pay arrears along with allowance from the due date and pay interest as well as per market rates," Chopra said in the letter. On March 21, the guild had sought government intervention in Jet, after which SBI had stated that the banks would infuse Rs 1,500 crore to sustain its operations for the next two months. On March 25, the airline board approved a resolution plan formulated by SBI-led lenders, under which lenders took control of the airline with 50 per cent holding.